These easy to make chocolate cookies have a delicious rich brownie taste. Light and chocolatey, the centers are chewy and the edges crisp. These cookies are also a great way to use left over egg whites. Since there is no flour or leavening they can be eaten for Passover. The cookies have a dark shiny top and stack and keep well for over a week at room temperature. In fact, I found a forgotten one that was stored in a baggie for well over two weeks and it tasted fresh and yummy. I made these by adding everything into a bowl and hand mixing it together. You will need to use parchment paper on the baking sheet to prevent sticking. When hot, these cookies are delicate and break easily. 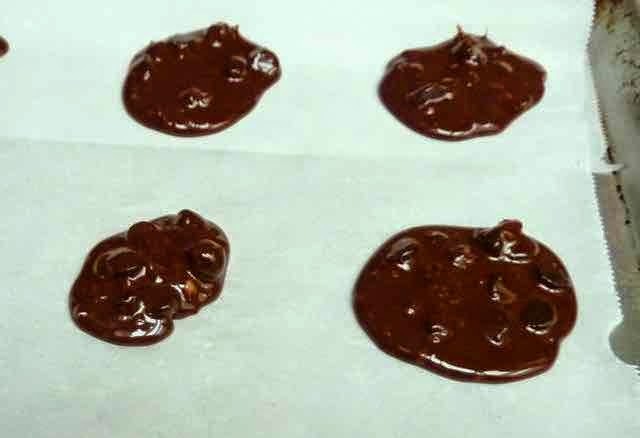 Let them cool completely on the parchment paper before removing them with a spatula. You can add 2 cups of any sort of add-ins that you like such as dried cherries, raisins, chopped nuts and chips such as chocolate, peanut butter or white chocolate. I experimented and made a batch by whipping the egg whites first. 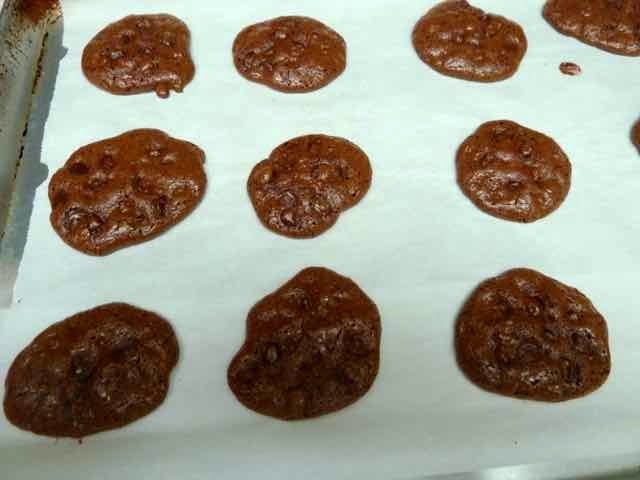 These came out like soft melt in your mouth brownie cookies with a crisp top layer. The whipped egg white cookies were perfect the first day and then the top crisp layer kept getting harder and harder each day. The taste was always great, just the texture of the top was a bit off. I forgot to get any photos of the whipped egg white cookies. The tops were lighter in color and less shiny than the unbeaten egg white cookies. I’m wondering if the whipped egg white recipe can be used to make flourless brownies if I bake the whole recipe in a square baking pan, lined with parchment paper. I will try this and let you know. 1/2 cup + 3 Tbs. 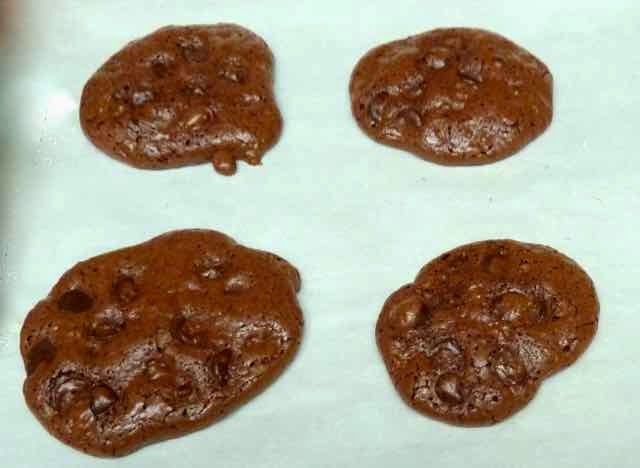 Chocolate Chips (optional) - or you can use other chips such as peanut butter or white chocolate - or you can use dried fruit such as cherries or raisins - or you can use chopped nuts - or you can use 1/2 cup of chips and a 1/2 cup of dried fruit or nuts. Walnuts - chopped (optional) - or you can use dried fruit such as cherries or raisins - or you can use chocolate (or any other flavor) chips - or you can use 1/2 cup of nuts and a 1/2 cup of dried fruit or chips. Place the oven racks in the upper and lower third of the oven. Preheat the oven to 350℉. Prepare baking sheets by lining them with parchment paper. Set aside. All the dry ingredients added to the bowl. Dry ingredients mixed well with the nuts and chips. Add the eggs and vanilla and stir until just moistened. Starting to stir the wet ingredients into the dry ones. Scoop onto the prepared baking sheets using a scoop that measures 1-inch across or use a tablespoon. 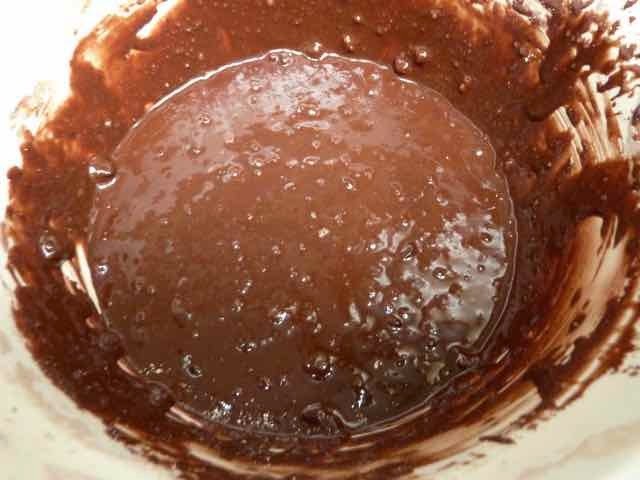 The batter will spread quite a bit so leave 2 inches between each scoop of batter. The batter will appear too thin, but the cookies actually puff up during baking and make a cookie with a normal thickness. Raw batter 2-inches apart on the parchment paper lined baking sheet. The batter looks too thin, but it will puff up during baking. Bake for 15 minutes. Half way through the baking time, turn the baking sheets from front to back and rotate the sheets from the top shelf to the bottom shelf and vice versa, so that the cookies bake more evenly. The cookies are done when the tops are shinny and lightly cracked. Baked cookies, right out of the oven. I told you they would puff up. You must cool them completely before trying to take them off the paper. Cool completely on the parchment paper before gently removing the cookies. When the cookies are warm they are very delicate and can easily break, so be patient and let them cool all the way. Store the cookies for about a week in an airtight container at room temperature. 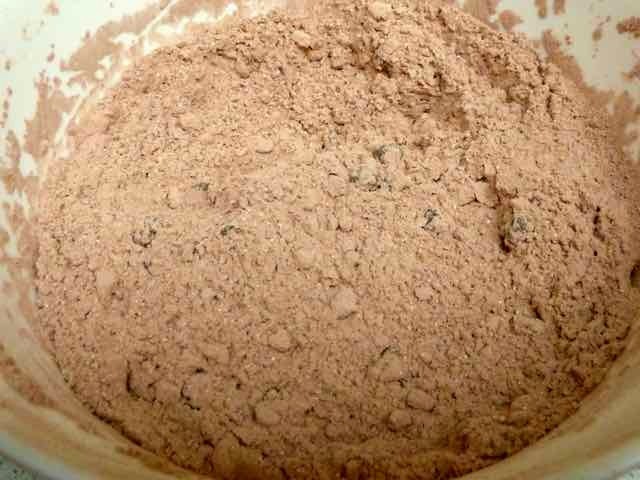 GLUTEN FREE FLOURLESS CHOCOLATE COOKIES Ingredients 3 cups/340 gm./12 oz. Confectioner’s Sugar 1/2 cup + 3 Tbs. 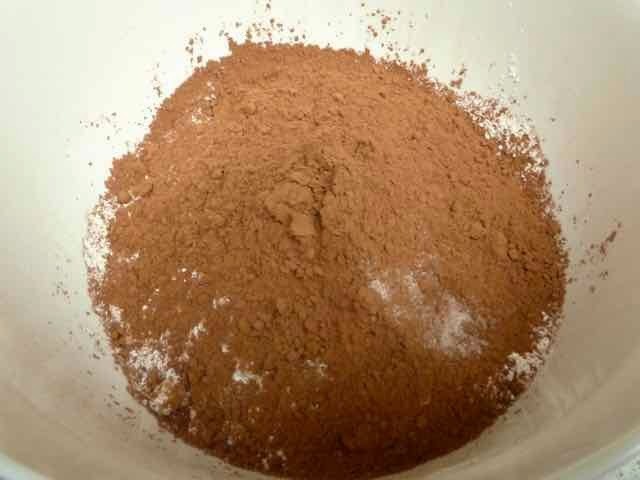 Cocoa Powder - unsweetened 1/4 tsp. Sea Salt 1 cup Chocolate Chips (optional) - or you can use other chips such as peanut butter or white chocolate - or you can use dried fruit such as cherries or raisins - or you can use chopped nuts - or you can use 1/2 cup of chips and a 1/2 cup of dried fruit or nuts. 1 cup Walnuts - chopped (optional) - or you can use dried fruit such as cherries or raisins - or you can use chocolate (or any other flavor) chips - or you can use 1/2 cup of nuts and a 1/2 cup of dried fruit or chips. 4 large/193 gm./6.8 oz. Egg Whites 1 tsp. Vanilla Directions Place the oven racks in the upper and lower third of the oven. Preheat the oven to 350℉. Prepare baking sheets by lining them with parchment paper. Set aside. Sift the confectioner’s sugar, cocoa and salt into a large bowl. Add the chips and nuts and mix well. (You can add a total of 2 cups of any combination of chips, nuts and dried fruits that you like. You can also leave the cookies plain.) Add the eggs and vanilla and stir until just moistened. Scoop onto the prepared baking sheets using a scoop that measures 1-inch across or use a tablespoon. 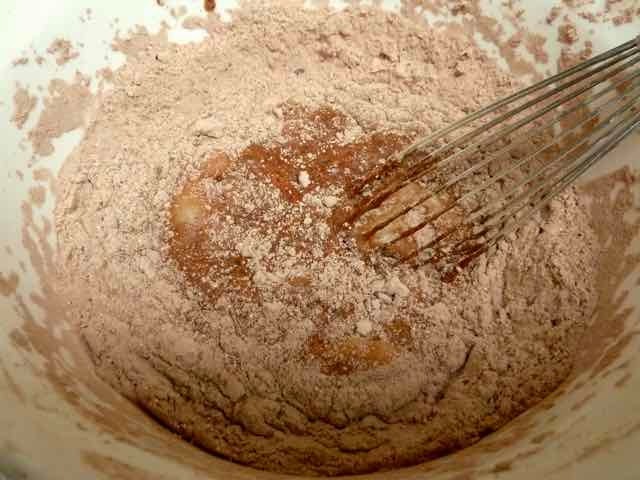 The batter will spread quite a bit so leave 2 inches between each scoop of batter. The batter will appear too thin, but the cookies actually puff up during baking and make a cookie with a normal thickness. Bake for 15 minutes. Half way through the baking time, turn the baking sheets from front to back and rotate the sheets from the top shelf to the bottom shelf and vice versa, so that the cookies bake more evenly. The cookies are done when the tops are shinny and lightly cracked. Cool completely on the parchment paper before gently removing the cookies. When the cookies are warm they are very delicate and can easily break, so be patient and let them cool all the way. Store the cookies for about a week in an airtight container at room temperature.